This photo is identified as USS Millette (APA-156) undergoing a simulated air attack while training near Pearl Harbor during December 1944. She is wearing camouflage 32/4T and the colors are dull black (BK), haze gray (5-H) and light gray (5-L). 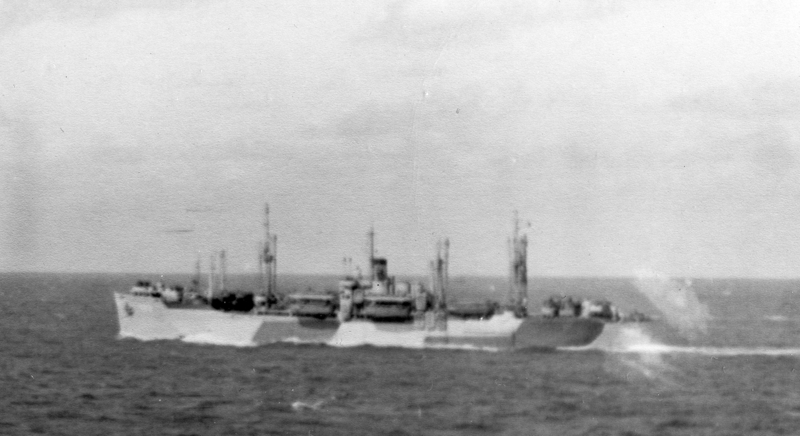 Another view of USS Millette (APA-156) from the starboard wearing camouflage 32/4T this time on May 11, 1945, probably at Guam.